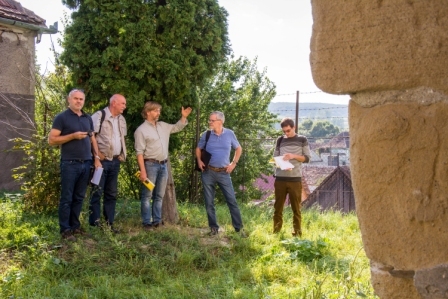 From 10 to 14 September, the Fortified Churches Foundation welcomed two experts from the architectural office of Dr. Krekeler to Transylvania. 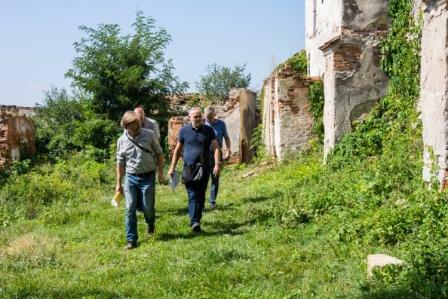 The aim of the visit was to strategically and conceptually process the results of the investigations regarding the state of construction of twenty threatened fortified churches under the joint programme. 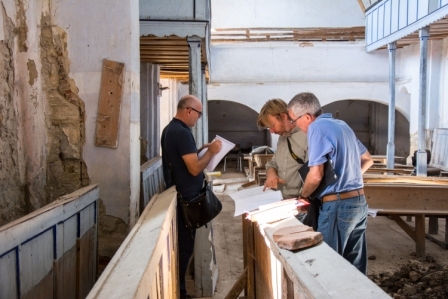 The project executing agency is the Chair of Monument Conservation at the European University Viadrina, the German Federal Commissioner for Culture and the Media is responsible for financing, and the Fortified Churches Foundation is coordinating the project on site. 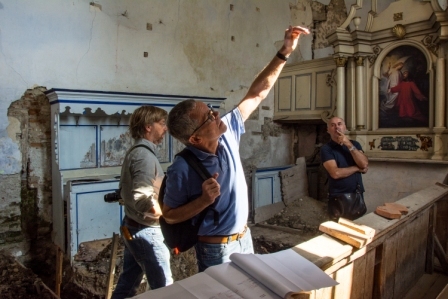 For Dipl.-Ing. 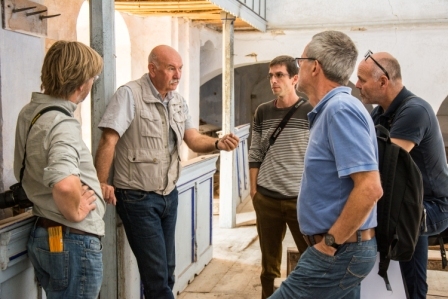 Civil Engineer Peter Krämer and Dr. Achim Krekeler (architect BDA, association of German architects) it was not their first stay in Transylvania. 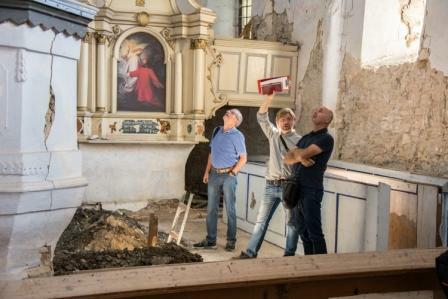 During the period 2008-2011 both were involved in the planning of a general redevelopment with earthquake strengthening of the city parish church in Sibiu and are since then also familiar with the fortified churches and the challenges facing them. 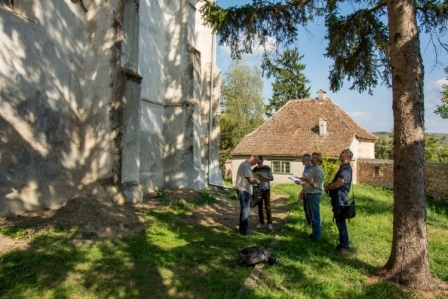 In addition to strategy discussions for the purpose of coordination, the visits of three fortified churches were also on the agenda: Hamba, Felmer and Șoarș are among the sites to be investigated, which were visited and analyzed together with Sebastian Bethge (consultant for monument preservation of the Fortified Churches Foundation), as well as civil engineer and expert for consolidation and restoration of historical structures Csaba Bodor.